Macular degeneration is a leading cause of vision loss among older adults. 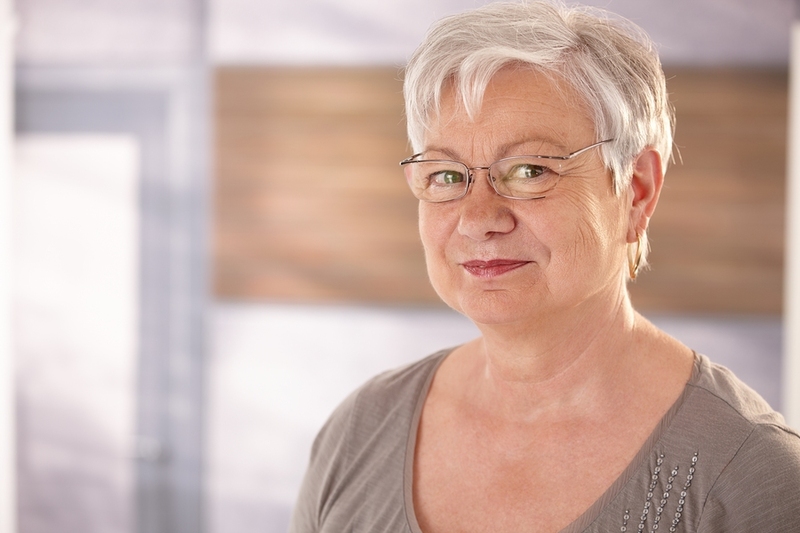 Our Maple Ridge eye doctors recommend annual eye exams for seniors, so we can check your eye health and vision. Early detection allows us to preserve your vision and slows the progression of macular degeneration, so you can see clearly. Learn what to expect if you are diagnosed with macular degeneration by our optometrists. Macular degeneration is an age-related condition, so your risk of developing it increases over age 60. There are other factors that may make you more likely to develop macular degeneration. The disease has a genetic component. If your relatives developed macular degeneration, we strongly urge you to get checked regularly and safeguard your vision. Individuals who are overweight or who have high blood pressure may have a higher risk of macular degeneration. Smoking greatly increases your risks, so quitting smoking can lower your likelihood of getting this condition. Since UV exposure harms the eyes, sunglasses that block UV rays can protect your eyes from macular degeneration and other conditions. There are two types of macular degeneration: wet and dry. The wet form of macular degeneration is less common and causes significant and sudden vision loss. Blind spots and vision distortion are the main symptoms of wet macular degeneration. Dry macular degeneration typically sets on slowly as macular cells begin to break down. The first noticeable symptoms of dry macular degeneration are often wavy lines, following by vision distortion and differences in color perception or even distorted central vision. Many people experience no symptoms until the disease has already progressed, which is why regular eye health exams that include screening for the disease are so important. For dry macular degeneration, our optometrist can make lifestyle recommendations that will help you safeguard your vision and potentially slow the progression of the disease. Supplements including omega-3 can help nourish the eyes. Vitamins A, C, and E have also been proven effective at reducing vision loss associated with macular degeneration. We may suggest vision aids that help you overcome central vision loss and see better. While there is no way to reverse vision loss, our optometrists will concentrate on slowing the progression of the disease so you are able to maintain your eyesight as long as possible. There are several different treatment options for wet macular degeneration. Our eye doctors in Maple Ridge will refer provide a referral to an ophthalmologist who will assess the state of the disease and then perform or prescribe an approved therapy. These can include injecting anti-angiogenic drugs into the eye to stop new blood vessels from developing and block the leaking from the abnormal vessels that cause the wet macular degeneration, performing laser surgery to destroy the abnormal blood vessels in the eye or even surgery. Our eye doctors can explain all the treatment options, including pros and cons of each, in an eye care appointment and will ensure that you are seen by the right specialist, when warranted, for your specific type of macular degeneration. Our optometrists serving Maple Ridge are here for you and your entire family. Whether you were diagnosed with macular degeneration and want to discuss treatment options, or need to schedule an eye exam, call us at 604-463-4469.